I hope this note finds you well. As I write this, the Sun is shining and it’s beginning to look like Spring! I can’t wait for the trees, shrubs and flowers to bloom! 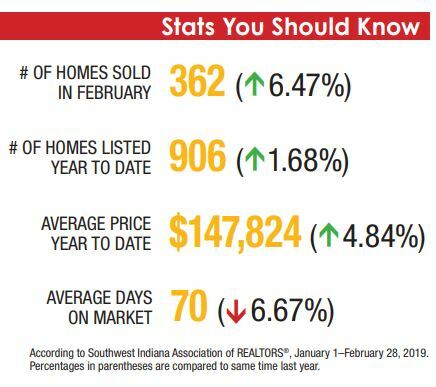 February’s market continued to show improvement, with 362 homes sold, an increase of almost 6.5% versus 2018. In addition, we are continuing the trend of increased listings for the year, a much-needed improvement in our inventory strapped market. As the cold, gray days of winter make way for spring, we anticipate continued momentum. Like it or not, weather does impact our business – and we are looking forward to a bright spring! For homeowners who aren’t currently considering a move, I would encourage you to reach out for a Comparative Market Analysis. The last several years have shown significant appreciation in our local real estate market – you may be very pleasantly surprised by how much additional equity you have gained. Using in-depth market knowledge, I’ll review homes that have sold in your area, along with the impact of condition, improvements, and additional amenities to arrive at the estimated value of your home. Finally, interest rates have settled at 4.5% or better – and conditions are favorable for potential home buyers. Let me know if I can connect you with one of my trusted mortgage professionals!